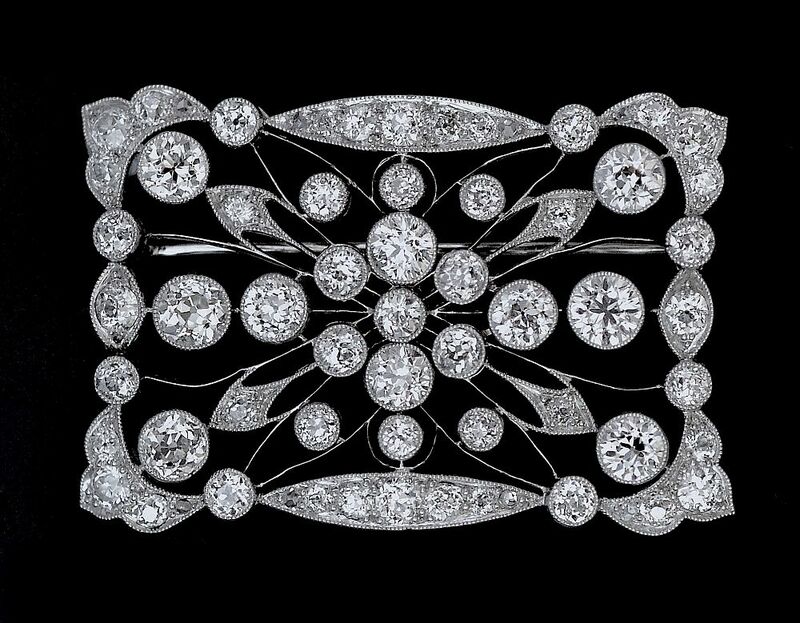 This is an amazing brooch! Made in platinum during the Art Deco period it is a rectangular shaped openwork plaque. The outer frame is set with with round diamonds of various sizes and the central floral diamond set design radiates out to the frame. Beautiful!